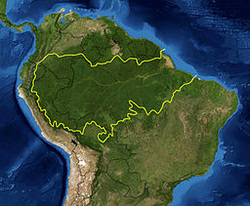 Amazon basin in Brazil is twice the size of India, and spans eight countries; it is full of natural & scenic beauty and is far away from the hustle & bustle of the city crowd. One can canoe through a flooded forest, doze in a hammock on a boat going upriver, or wake up in the jungle to the call of howler monkeys. Witness the colorful wildlife as you canoe through the amazon. 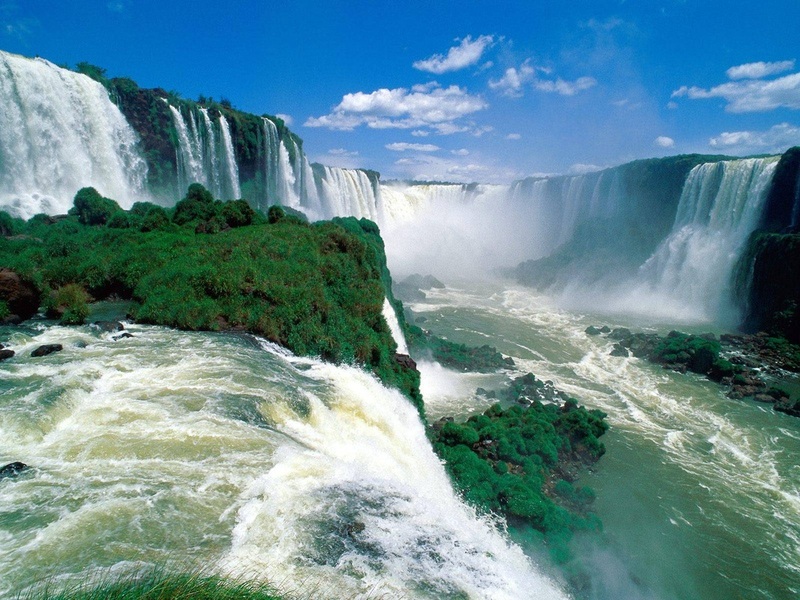 BRAZIL, The land of roaring Iguacu waterfalls. 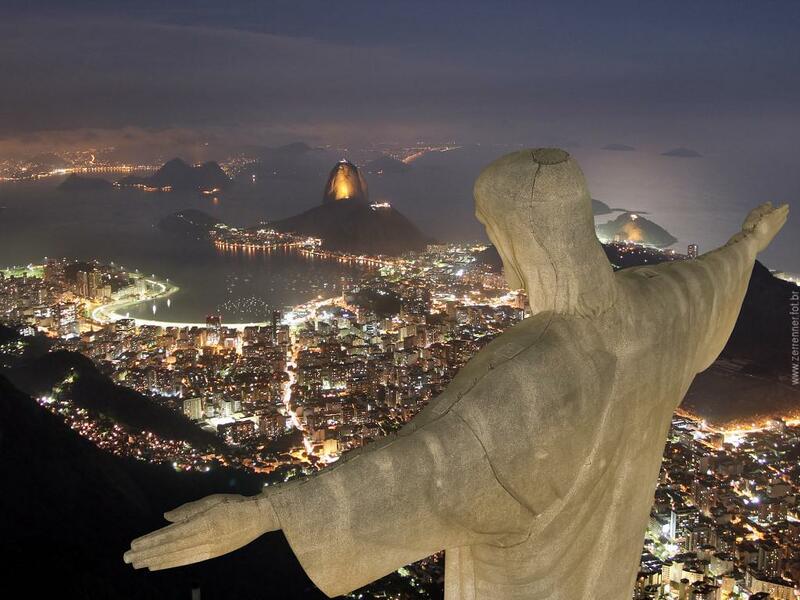 Below is Rio de Janeiro, the most beautiful city in Brazil and is blessed with mountains, sea and lake. You can enjoy all 3 in the same city. Rio has some of the most beautiful beaches in the world; not to forget the most skimpiest bikinis. That's the norm here, so one better not stare. TIP: Besides the beaches, explore the city & see the beautiful architecture. 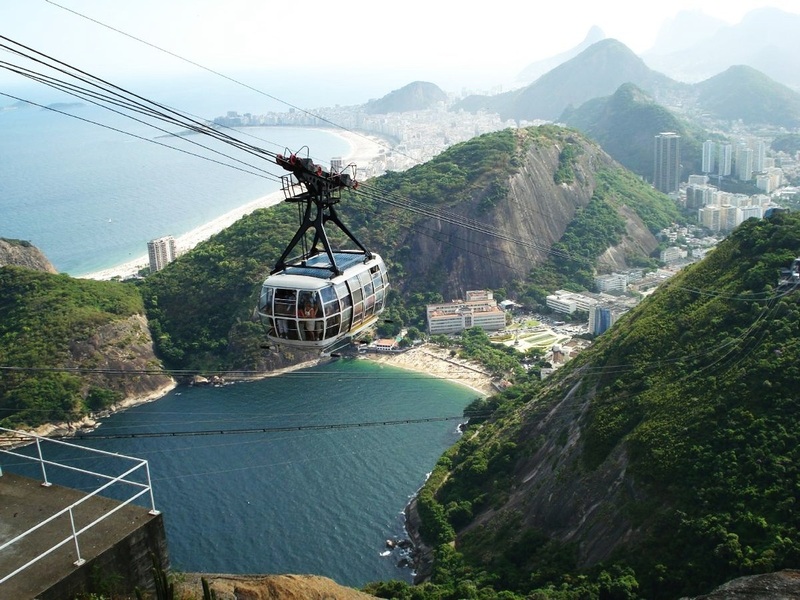 The cable car ride to the top of Sugar Loaf Mountain (Pao de Acucar) offers beautiful views of the city. Ride it at sunset if you can. Get HTML Link Code: Save 50% on the Hotel Deal of the Day! 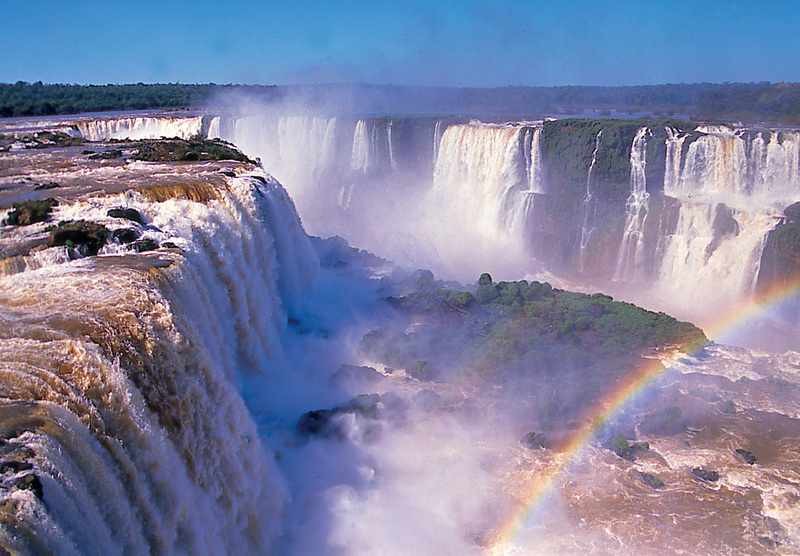 According to Shaifali Kapoor, a resident of Brazil, there is no other place so culturally rich and naturally beautiful than Brazil. It has the cleanest beaches, and the friendliest people. According to Shaifali, "very few people speak Eng and security is a major issue. Mugging is very common so one has to be careful. The weather in Sao Paulo is extremely pleasant throughout the year.